Born at Amsterdam, Holland on 25 September 1889, son of Herman Sulkers and Mary Joanna Vriens, he came to Canada in 1907 and worked as a florist and farmhand, going on to help in establishing the market gardening industry in the Greater Winnipeg area, and the sugar beet industry in southern Manitoba. On 15 November 1912 he married Gertrude Bergman (?-? ), daughter of Ruter D. Bergman, of Winnipeg. They had one daughter, Mary Joanna Sulkers. 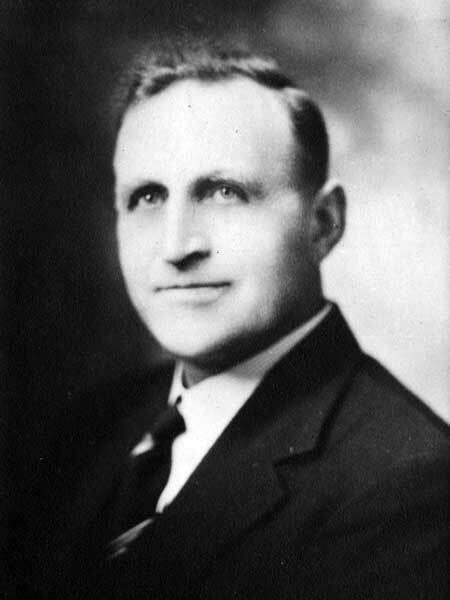 He served as President of the Manitoba Vegetable Growers Association, President of the Manitoba Sugar Beet Producers’ Association (1942-1948), was a School Trustee from 1924 to 1932, and was a member of the Masons (Acacia Lodge), Winnipeg Horticultural Society, and the King Memorial United Church. He was a candidate for the House of Commons at the 1935 federal election but was defeated. He was elected to the Manitoba Legislature in 1936, representing the Co-operative Commonwealth Federation, and served one term, being defeated in the 1941 general election by N. J. Stryk. He died at his Winnipeg home, 44 Kelvin Street, on 16 October 1948 and was buried in Elmwood Cemetery. “Herbert Sulkers, 59, horticulturist, dies,” Winnipeg Free Press, 18 October 1948, page 18.